Life as a nurse can get pretty hectic. Standing around for 12 hours a day, walking and running will take a toll on your feet unless you wear extremely comfortable shoes. Even the slightest discomfort can lead to foot pain and aches in the long run, so it’s extremely important to choose the best nursing shoes that will accommodate your feet, and that’s not an easy task to do. Although each nurse will aim for a slightly different brand of nursing shoes depending on the shape of her feet, there are some general considerations that are applicable to everyone. The most important factors when deciding on a great pair of nursing shoes are whether they offer arch support and if they accommodate the width of your feet properly. Flat shoes are not considered optimal, so using tennis shoes as nursing shoes, despite the popular opinion is not a great choice. A low heel between 0.5 and 2 inches is considered the standard employed by the best nursing shoes, anything more than that and it’s already too high. But beside comfort, there is also a matter of fashion and style and with that in mind we have prepared our top 10 best shoes for nurses list that takes all these matters into account and provide you with a large array of nursing shoes to choose from which we’re sure will fit all styles and tastes. 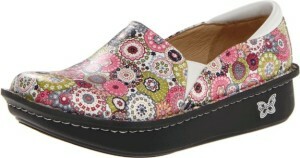 Dansko is the brand that other nurses have recommended for years when it comes to nursing shoes and rightfully so. If you are looking for high quality footwear that will hold you for years and delivers outstanding comfort and support, you need to buy Dansko nursing shoes, and the Women’s Professional Box Leather Clogs are some of their best selling products. Made of fine leather with a leather insole and a shock proof rubber outsole, this amazingly well designed shoe has been approved by American Podiatric Medical Association. 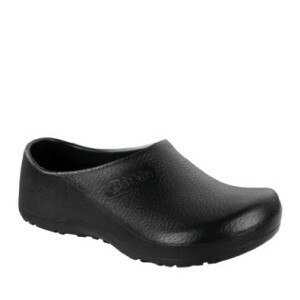 If leather is not one of your favorite materials or if you found the first model of Dansko nursing shoes too expensive, the Dankso’s volley clogs represents a more affordable choice yet are still one of the best shoes for nurses on the market. 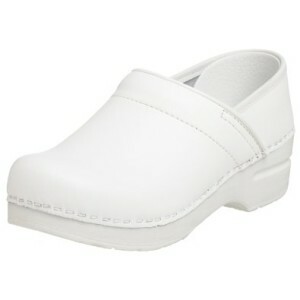 For nurses who spend most of their day standing, the perforated footbed with foam offers great comfort and arch support. 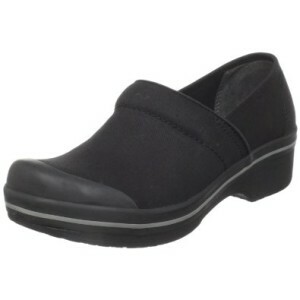 In order to prevent unintentional slipping, these nursing shoes come equipped with a slip resistant rubber outsole. 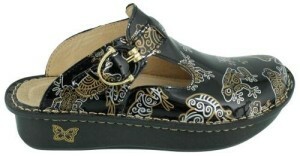 If you are looking for a classic Dankso shoe for nurses, this is definitively one of the best choices. 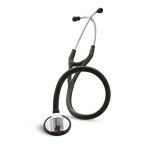 Do you want to purchase a great pair of nursing shoes and do good at the same time? Nurse Mmate is a company that manufactures shoes for nurses with a mission. For every pair of nursing shoe you purchase from them, a portion of the proceeds are donated to promote breast cancer awareness. 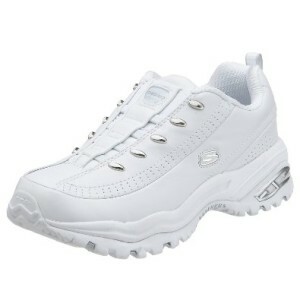 The shoes are white leather shoes, extremely comfortable with a cushioned footbed and come at a very affordable price. We ranked them a little higher on this list that their quality will warrant mainly because we were so impressed with their charity approach. Alegria is the first manufacturer of nursing shoes that truly understands that there is more to a great pair of nursing shoes that comfort and convenience. With a strong focus on unique and cool designs, Alegria brings to market some of the best looking shoes for nurses that we’ll let you express your style and individuality in addition to being easy on your foot. They have countless designs and imprints besides the one we chose for this picture, so feel free to check it out if you are looking for fashionable and in style nursing shoes. 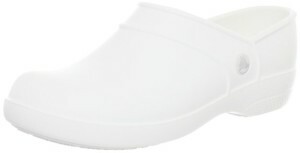 For those that prefer slip-ons to clogs but still love the fashion sense of Alegria’s line of shoes for nurses, the Debra slip-ons are just the perfect pair of shoes. With an unique design featuring a handcrafted sole and a 1.5 inches heel, these leather nursing shoes will have you walking pretty and more importantly comfortably in no time. The shoes come into a variety of colors and sizes and have quite a lot of great reviews on Amazon, well worth a look. 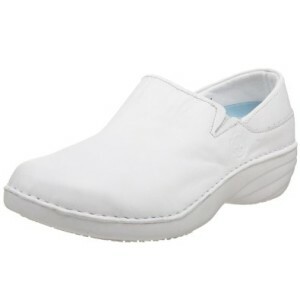 Timberland makes some great shoes for nurses, and the Professional Women’s Renova is our recommended choice for those looking for a white leather pair of nursing shoes that can be wear all day long. With a patented anti-fatigue technology, these nursing shoes offers both leg and back support through its sole specifically designed to reduce forefoot pressure. 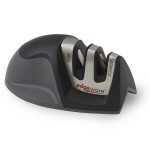 In addition to that it also provides excellent mobility across all surface areas due to its slip resistant grip. Can be purchased at a decent price from Amazon if you follow our above link. If you are looking for an affordable pair of nursing shoes, Crocs has been a long time choice for a lot of nurses starting their career. 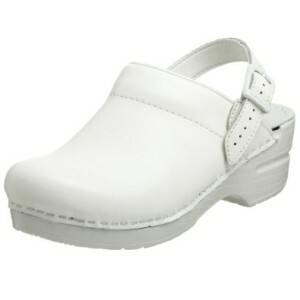 There are countless different Crocs models on the market that are suitable for nurses, but we decided on Women’s Neria Clogs as our recommended pick. Made of synthetic materials using a handcrafted sole, these shoes are excellent for those looking for a cheap yet reliable pair of footwear. Sneakers have lost a lot of ground recently in terms of what nurses regularly wear, clogs, loafers and slip-ons being favored, but if you are an old timer it does not mean that you still can’t make do using a great pair of sneakers as your nursing shoes. Skechers’s women’s premium sneakers are made of a combination of leather and synthetic materials with a cushioned footbed that are extremely comfortable to wear and walk in even for prolonged period of time and they come at a very affordable price. Birkenstock’s nursing clogs are great for those looking for a light pair of shoes that require minimal maintenance. They do not require any drying whatsoever and are easy to clean being made of polyurethane. These nursing clogs also feature a contoured footbed to ensure they remain comfortable and easy on your feet throughout the day. Dansko Women’s Ingrid Box Leather clogs probably deserve a higher ranking that we gave them since they are some of the best quality nursing shoes, but their higher price tag made us reluctant to recommend them as our top picks. If you are looking for highly fashionable nursing shoes that retain the same high quality standards in comfort and support that Dansko is renowned for delivering.